Architects from six leading contemporary Irish practices will showcase their work and discuss issues concerning architecture at leading U.S. architectural schools and institutions this Autumn as part of Irish Architecture Now – Ireland’s first architectural showcase in the US which is part of Imagine Ireland, Culture Ireland’s year of Irish arts in America in 2011. Curated by Raymund Ryan from the Carnegie Museum of Art, Pittsburgh the event is produced by the Irish Architecture Foundation, Dublin and will also be supported in the U.S. by Enterprise Ireland. 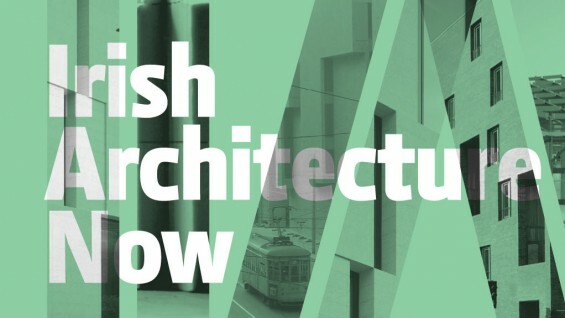 With Irish music, literature, theatre and film already highly acclaimed in the U.S. the Irish government is proud to support this unique showcase of Irish architecture and design practice, which over the past two decades has firmly established itself with flair on the European scene. Architects from leading and multiple award-winning Irish studios will travel in two groups, one to the East Coast, the other to the West Coast and Mid-West. In each case, the architects will participate in symposia at museums or prestigious schools of architecture in three cities, presenting key aspects of their work and engaging in discussion on critical issues facing Irish architecture now. The talks are organized in collaboration with the following: Harvard Graduate School of Design; The Architectural League of New York; The Irwin S. Chanin School of Architecture of The Cooper Union; The Heinz Architectural Center, Carnegie Museum of Art; The American Institute of Architects, Los Angeles; Los Angeles County Museum of Art; University of California, Berkeley; The Art Institute of Chicago. Merritt Bucholz and Karen McEvoy of Bucholz McEvoy Architects; Niall McCullough of McCullough Mulvin Architects; and Shih-Fu Peng of heneghan peng architects, are three of six firms touring the U.S. this autumn. The architects will discuss their practices and recent work in a symposium to be held at The Cooper Union presented by the Architectural League. These symposia are organized by the Irish Architecture Foundation.